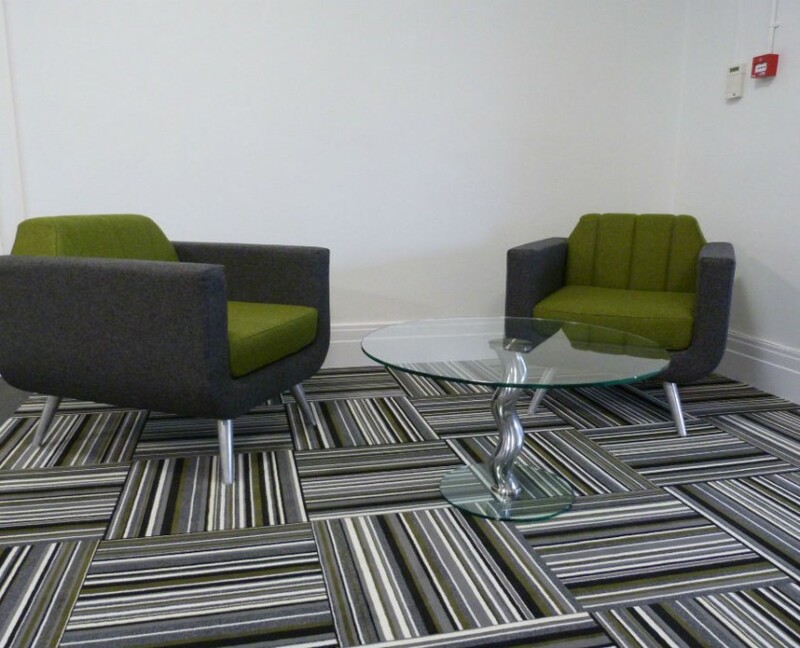 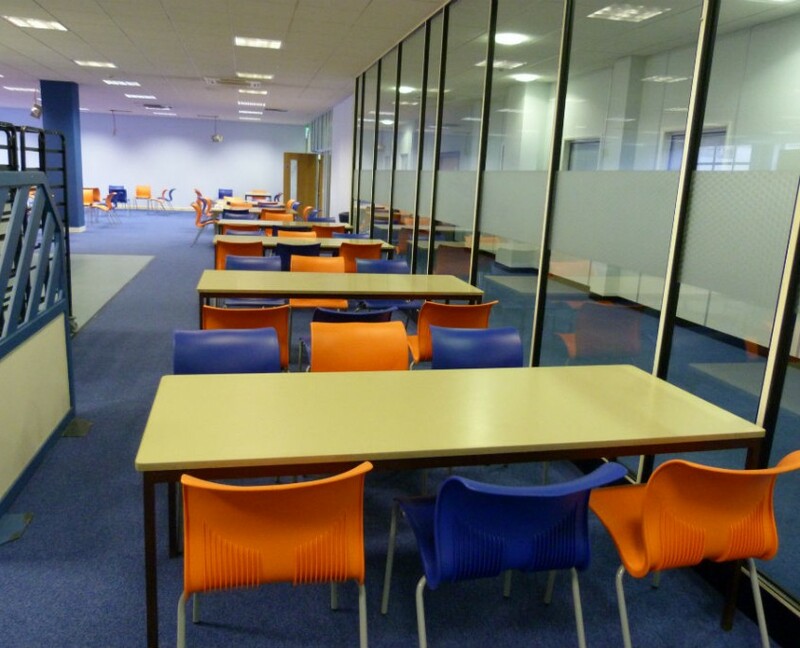 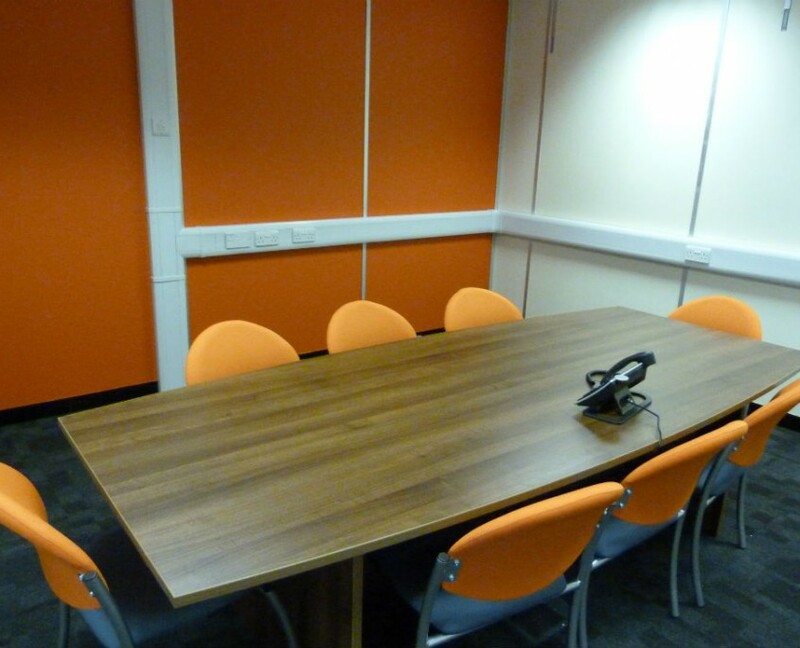 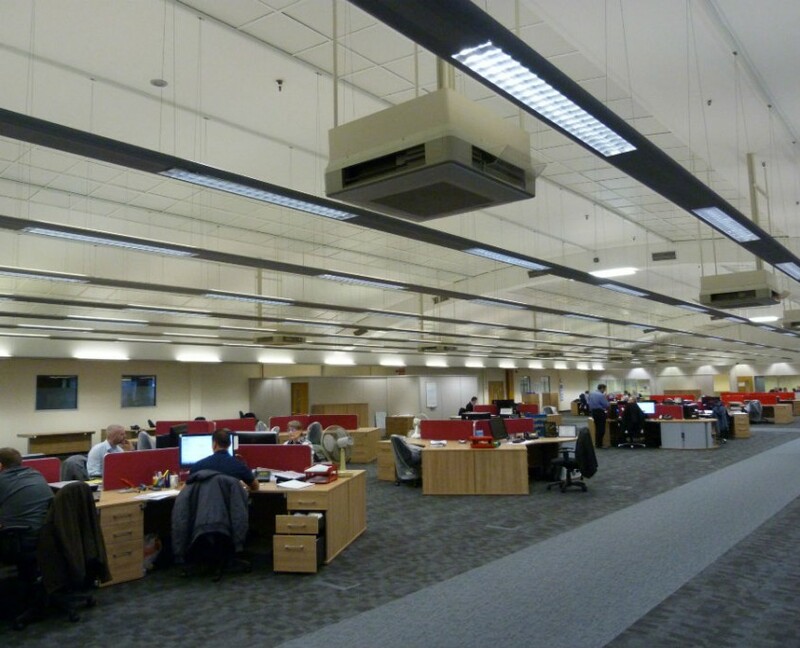 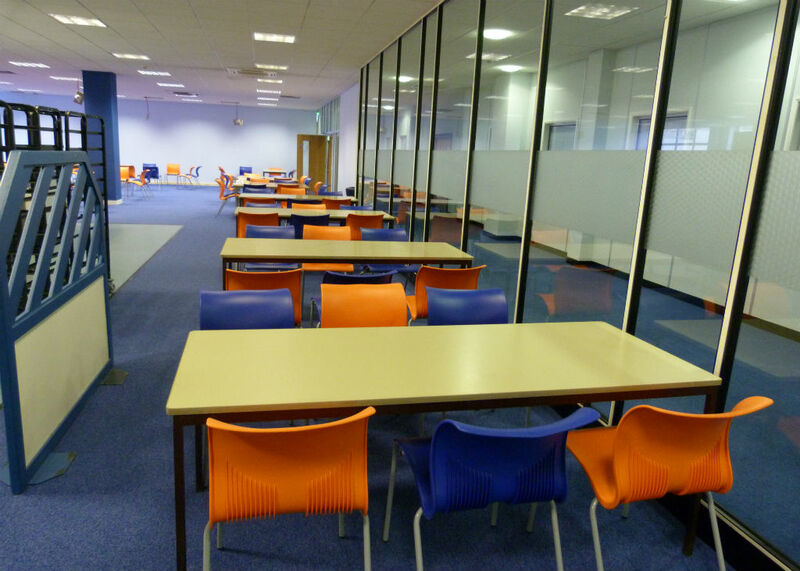 When National Oilwell Varco bought an old British Aerospace site at Chadderton they were initially talking to one of the large city furniture providers, however when the ‘Google office’ vision became too costly we were asked to come up with a more realistic costing without completely compromising on aesthetics. 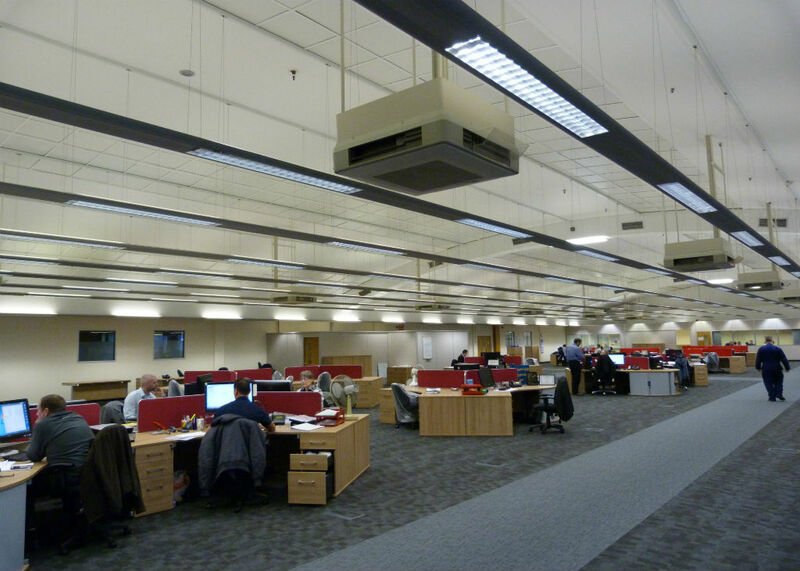 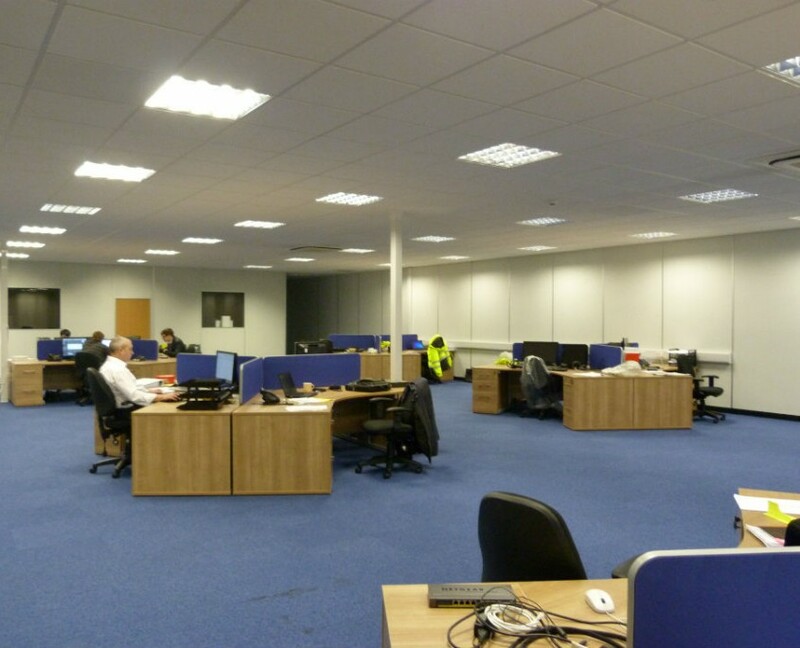 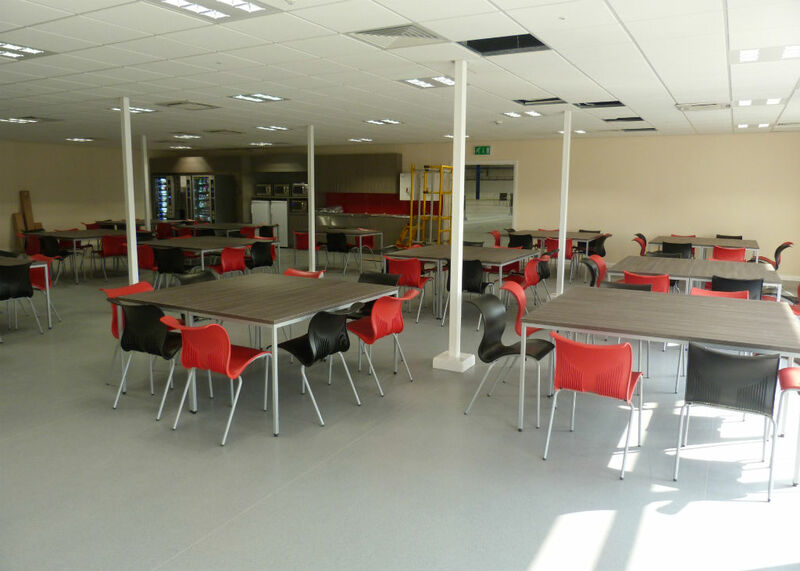 The whole project was to accommodate over 150 staff so a great deal of planning was needed to make sure that the whole operation ran smoothly at the time of installation. 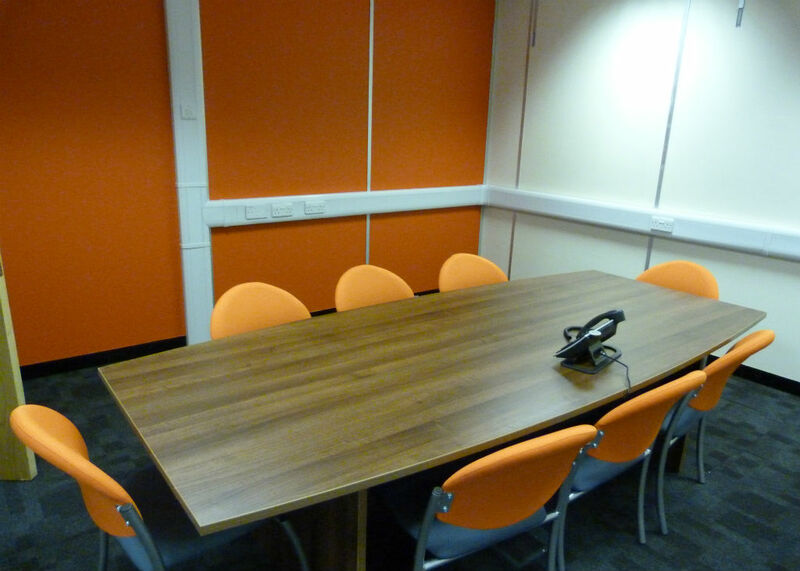 Throughout the offices the Sirius range of desks were used in oak with silver frames, 3 way segment desk in the main office area and straight desks in factory offices with different screen colours depicting the department teams. 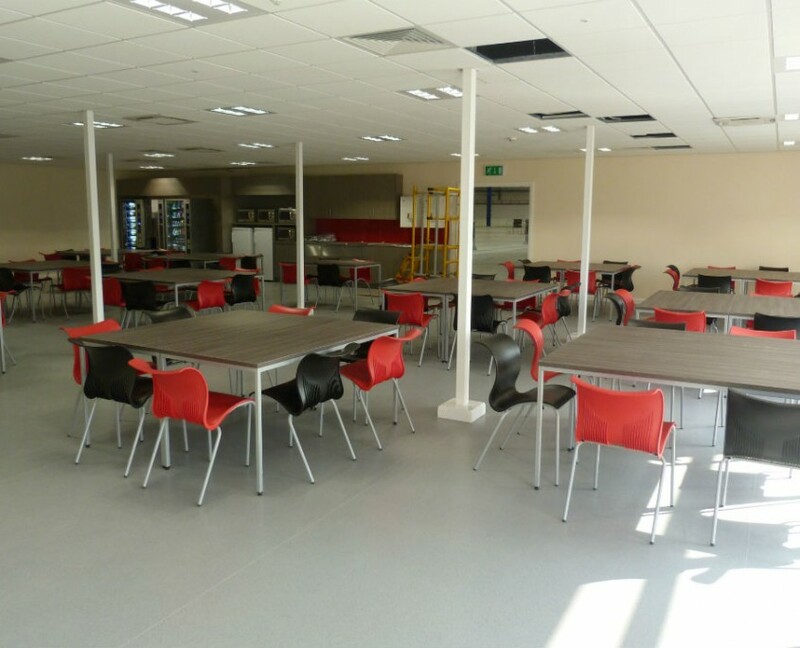 The cafeteria was fitted out with fully welded framed tables and Bahia chairs as was the canteen cafeteria but in different colours. 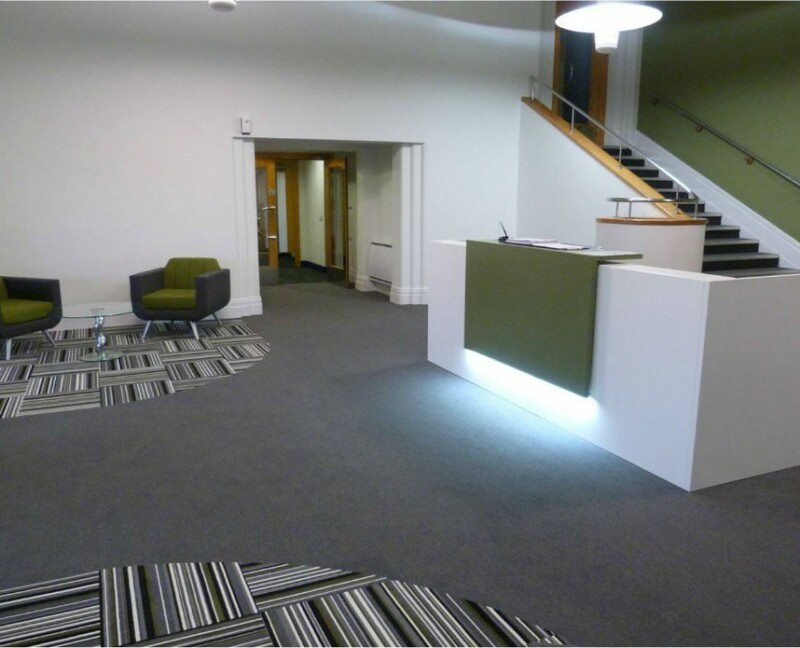 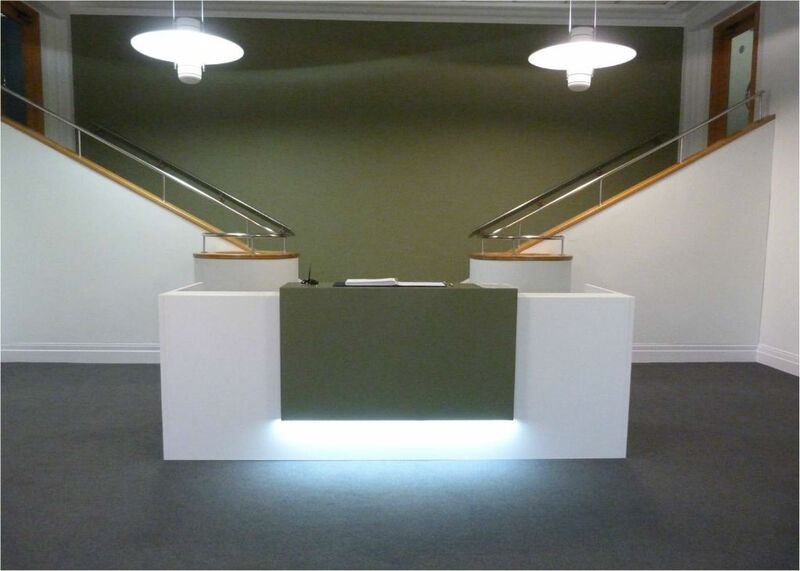 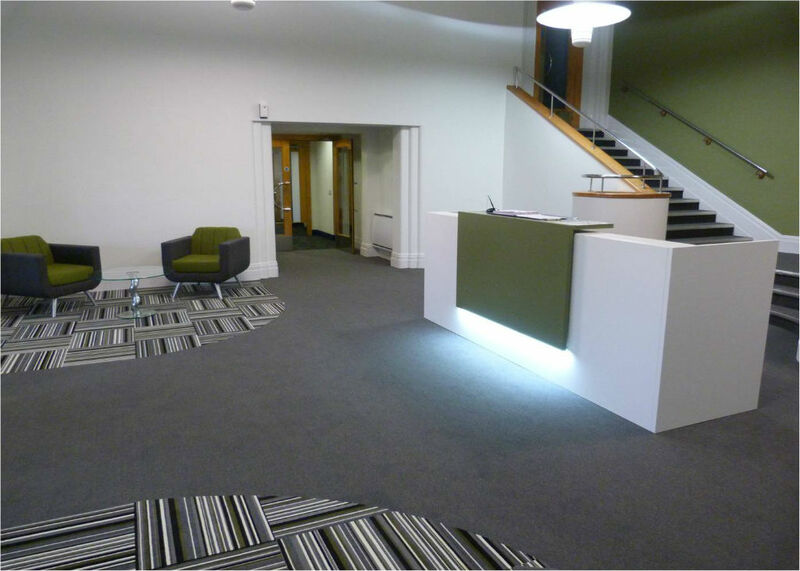 As reception is NOV’s first impression of the company they went for a Z2 Italian reception counter in white with a green overlay underlit with LED lighting, by painting the back wall in the same colour this created a dramatic effect with the sweeping staircase. 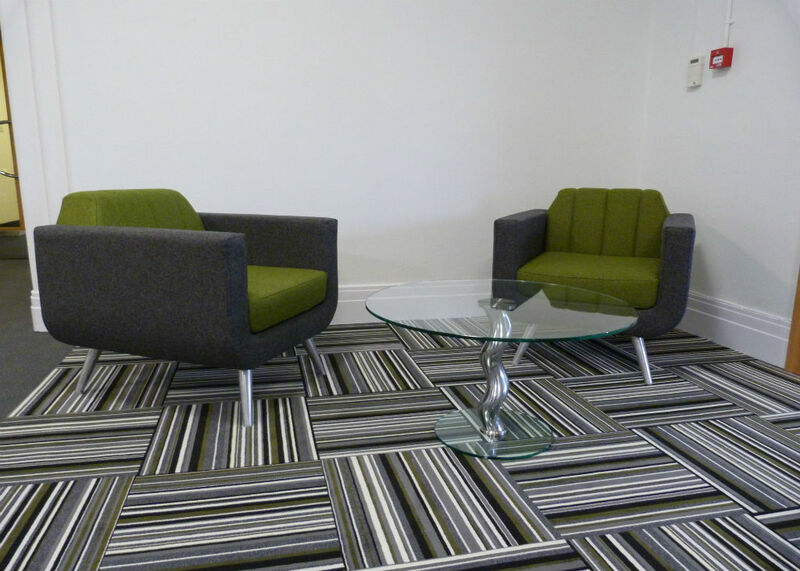 Rocco chairs were used and coffee tables manufactured using NOV’s tooling as the stem added a unique twist to showcasing their own products. 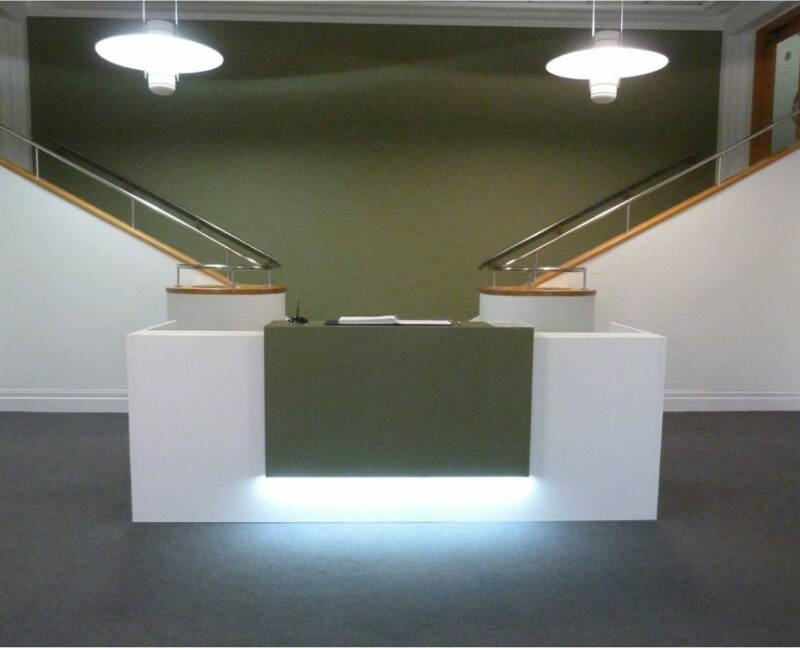 We would have no hesitation in recommending you to others and can definitely state that you would be, and still are, my first choice for any additional purchases.